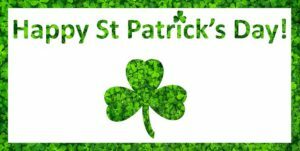 Want to celebrate “being Irish”, even if you’re only Irish for one day? Would you like to get a taste of Éire, but can’t afford the travel expenses? My debut fantasy novels, The Keepers of Éire and The Keepers of Éire-YA Edition are set in modern-day Ireland and feature an American woman and an Irishman searching for their destinies and a way to stop a dragon killer. Readers will be transported to the lush, rolling hills, spectacular stone circles, and bustling cities of Ireland. In celebration of St. Patrick’s Day, I am offering both Kindle e-books at reduced pricing for one week starting Thursday (3/16). Visit here to get your copy. 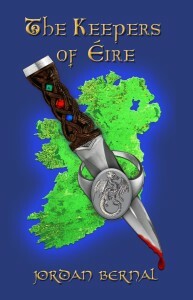 Check out the Booktrack trailer for The Keepers of Éire: Chapter 1. Also, today I listed The Keepers of Éire with The Irish Book Club on their website at http://www.theirishbookclub.com. I will be sending a copy for review in the next day or two. 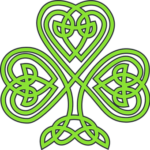 This site is designed for advertising of Irish authors and those authors that write about Ireland. 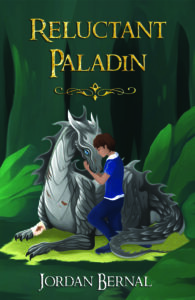 With St. Patrick’s Day just around the corner, tell all your friends about a new fantasy novel with a bit of mystery and romance they would surely enjoy. May soft be the grass you walk on. May fair be the skies above you. May true be the joys that surround you. And may dear be the hearts that love you. Just in time for St. Patrick’s Day! 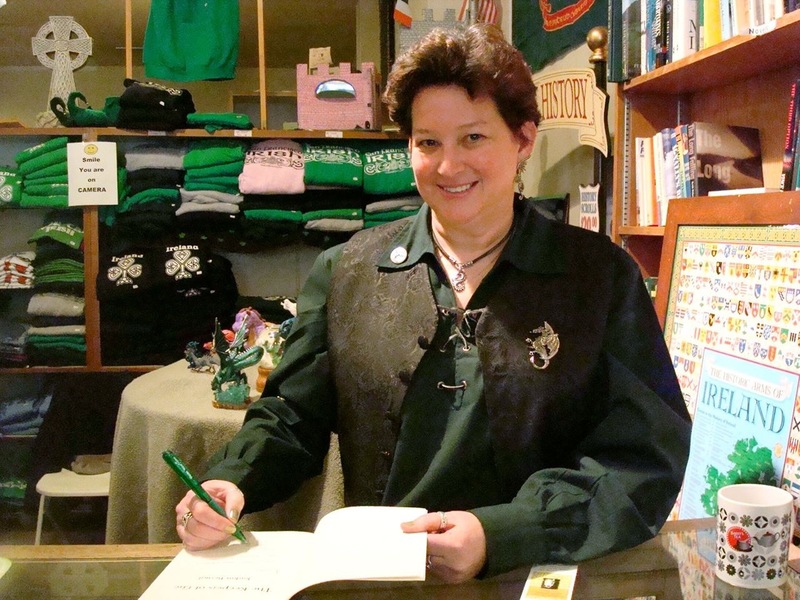 On March 1, 2014, The Irish Castle Shop in San Francisco, CA. rolled out the green carpet for me, my dragons, and friends & family (both old and new). Check out these video clips where I discussed my love of dragons, my intrigue with my Celtic heritage, and how that combination translated into my debut novel, The Keepers of Éire. 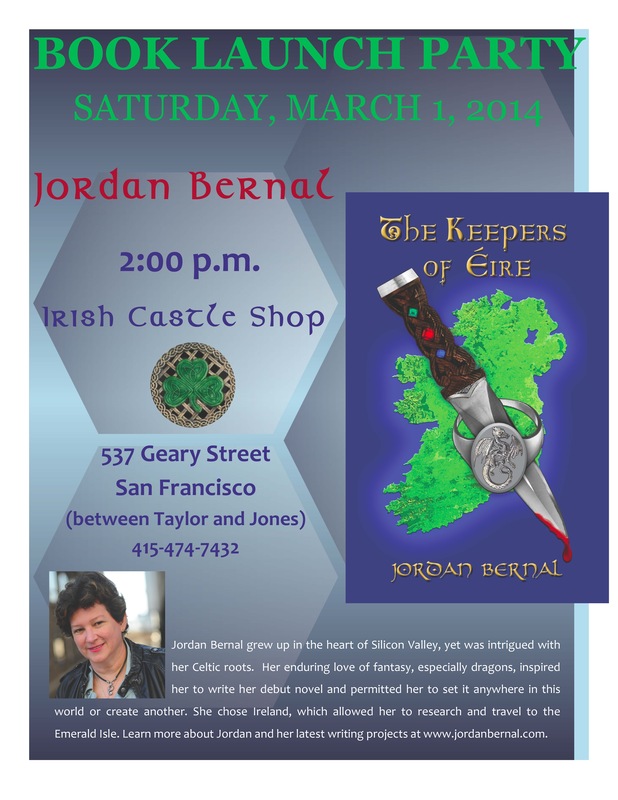 Kick off March and St. Patrick’s Day 2014 with a book launch and reading from new author Jordan Bernal. Event hosted by The Irish Castle Shop, 527 Geary St. San Francisco.